Loss is an unavoidable part of life, and this trio of “super seniors” have seen more than their fair share. 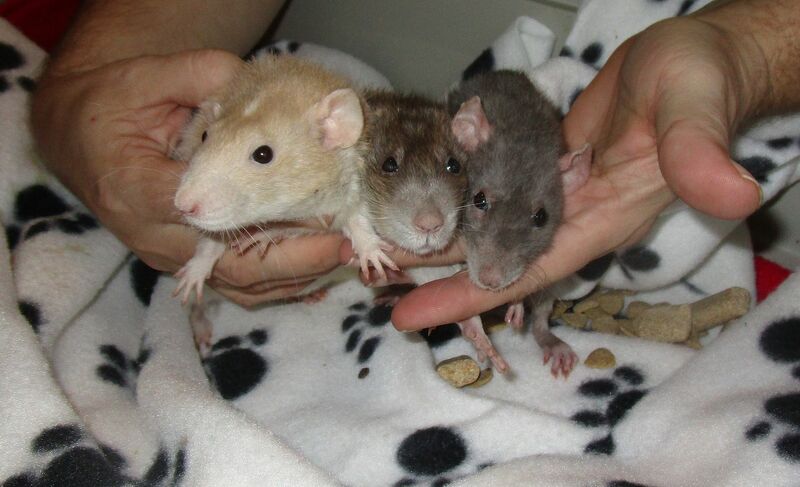 After losing their original cage mates and then the fosters that they were partnered up with Granny, Margaret and Dave could have been alone once again. But with MRR’s network of foster homes, they were able to come together to experience the joy and comfort of each other’s company. It was love at first sight for frail tiny Granny and big man pillow Dave- Granny toddled over to him, draping her little body across his as if to say “mine”. Dave is thrilled with his new lady friend; they never leave each other’s side. Margaret is a bit of a “mother hen” type, fussing with the cage set up, fluffing up nesting materials and making sure everyone has food, she’s been known to bring food to Granny before she eats her own dinner. All three agree, life is so much better with friends watching over you.